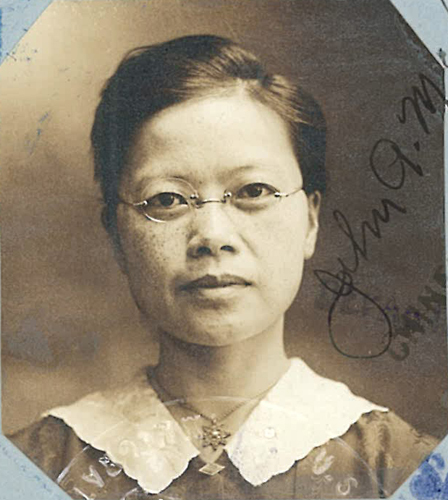 “Photo of Gee G. Baine from Form 431,“ 1916, Chinese Exclusion Act case files, RG 85, National Archives-Seattle, Gee G. Baine (Gee Quock Bin) case file, Seattle Box RS 285, RS 34,340. 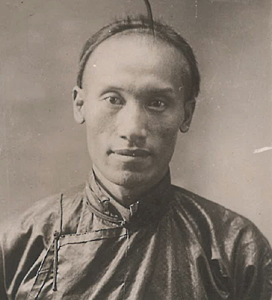 Gee G. Baine was studying law at Suffolk Law School, Boston, Massachusetts in 1916 when he applied for pre-investigation of status so he could visit China. 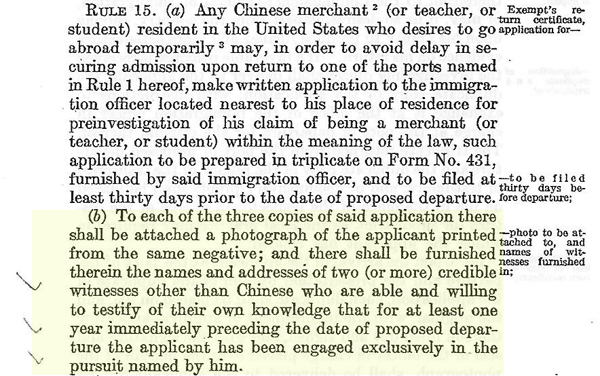 Gee G. Baine originally entered the U.S. under the name Gee Quock Bin in San Francisco in June 1896. 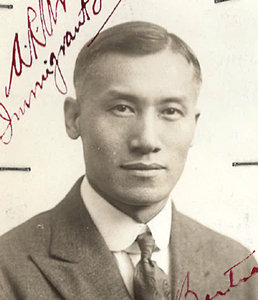 He lived with his uncle Dr. Gee in New York City, before moving to New Brunswick, New Jersey where he was tutored by a private teacher. He attended several schools over the years: the Thirteenth Street School In New York City, School #11 in Brooklyn, Horace Mann School in Newtonville, Massachusetts; a public school in New York City, and Berkeley Preparatory School in Boston. He was sick with pneumonia one winter then went to Boston where he worked for Mr. Monerly as a chauffeur. 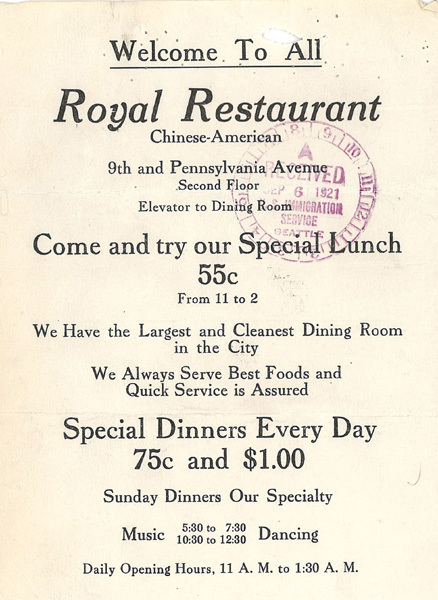 When his uncle Dr. Gee returned to China he gave Gee a partnership interest in the Royal Restaurant in Boston. Before Gee was accepted to law school he sometimes worked at the restaurant. Gleason L. Archer, an attorney, the Dean and founder of the Suffolk Law School in Boston, swore in a statement that Gee Baine had been a student since August 1915 and attended classes three evening a week. He had a good attendance record and good grades having completed courses in contracts, criminal law, torts, agency, legal ethics, and real property. His personal history record showed that his references were Joseph F. O’Connell and Dr. C. H. Thomas of Cambridge. 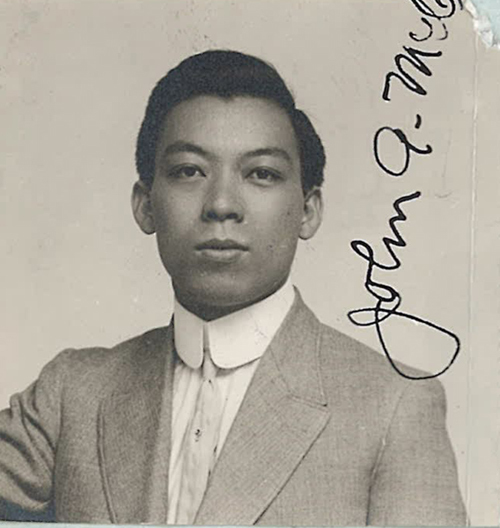 Edgar S. Monroe, an optometrist in Boston, testified that he had known Gee about twelve years and he had seen him studying law for the last year or two. Monroe did not have personal knowledge that Gee had not worked as a laborer in a restaurant or laundry in the last year but he felt that Gee was worthy and always a gentleman—one that he would not feel ashamed to associate with in any society. 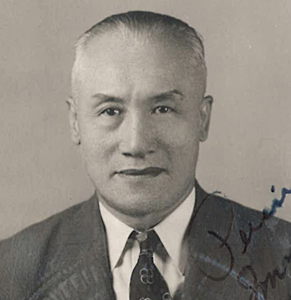 George A. Douglas, an attorney and instructor at Suffolk Law School, attested that he had known Gee since 1915 as a student in his classes in criminal law and agency. Gee attended classes faithfully. Although Douglas could not swear that Gee had not done any manual labor in the last year he knew that his attendance at school and the time needed for studying must have kept Gee extremely busy. Gee testified that he arrived in 1896 when he was twelve years old and was admitted as a section 6 student. In the past year his only work for the Royal Restaurant was as an interpreter for the business.